Uh-oh! The animals need to go. 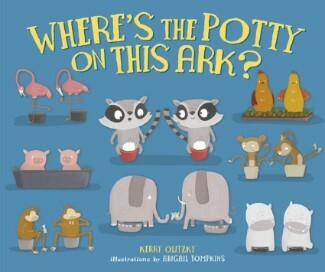 Not just on a journey on Noah's Ark, but to the potty, too! Noah's wife, Naamah, helps each animal—owl, giraffe, monkey, raccoon, and even elephant—go potty while on the big ark.